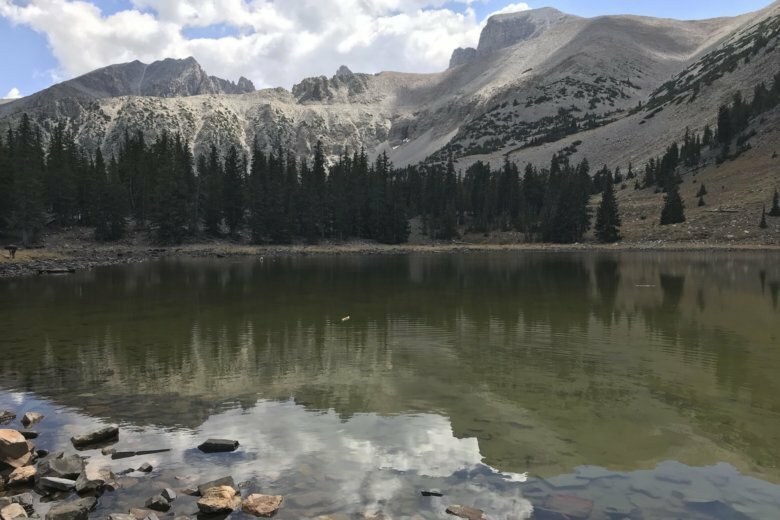 RENO, Nev. (AP) — A state board wants to change the name of a mountain peak in eastern Nevada’s Great Basin National Park to more appropriately recognize a geological area important to a native tribe instead of honoring the president of the Confederacy during the Civil War. The phrase — pronounced “DOH-soh doy-AH-bee” — means “white mountain” in the native dialect. Tribal elders say it’s a reference to the fact the summit of the 12,771-foot (3,830-meter) mountain near the Utah line was covered in snow year-round. Support for a name change first emerged in 2017 during a push to remove Confederate monuments in various locations across the country. Christine K. Johnson, the collection manager for the Nevada Historical Society who serves as a non-voting member on the state board, says the name approved Tuesday was supported by the Duckwater Shoshone Tribe as well as members of other area tribes. She said a formal application for the name change will be forwarded to the U.S. Geological Survey’s Board on Geographic Names. Tribal member Warren Graham said in a letter on behalf of the Duckwater Shoshone Elders Committee that reinstating the mountain’s original name would honor their cultural heritage. Jeff Davis Peak is about 240 miles (385 kilometers) southwest Salt Lake City. Davis’ name originally graced a neighboring mountain now known as Wheeler Peak, Nevada’s second highest point. During a survey in 1855, Lt. Col. Edward Steptoe of the U.S. Army Corps named the peak after his boss, then-U.S. Secretary of War Jefferson Davis, who later became the president of the Confederate States of America. Wheeler Peak got its permanent name after George Montague Wheeler scaled the mountain in 1869, and the neighboring peak then became Jeff Davis. The renaming was formally proposed last year by tribal elders who said their mother was one of the few survivors of the Spring Valley massacre in 1863 when the U.S. military killed a group of Shoshones nearby. The University of Utah’s Shoshone Language Project verified the name’s authenticity. Board members voiced their support of the change in September as a symbol of “reconciliation not division,” according to the board’s minutes. Jack Hursh, a cartographer and publications specialist at the Nevada Bureau of Mines & Geology who serves on the panel, was among those who backed the Shoshone proposal. “The Doso Doyabi name is a Nevadan name proposed by Nevadans,” he said in an email Wednesday to The Associated Press. Officials for the federal board couldn’t be reached for comment because of the federal government shutdown.